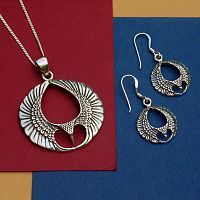 - Take Flight! Do you dream of winging your way through the clouds? 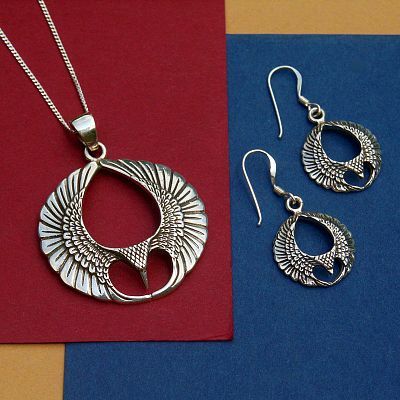 Does your soul long for the freedom of flight? 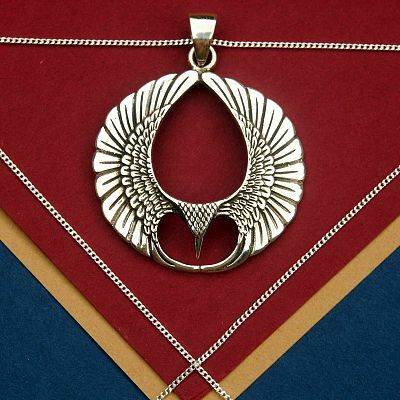 Wear this magnificent pendant to remind you to stretch your wings a bit each day. 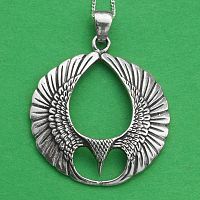 Pendant measures 1 5/8", and is made of sterling silver. 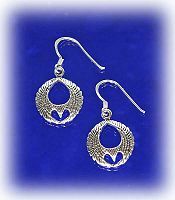 Includes an 18" silver chain. 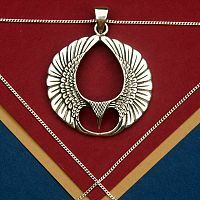 Do you have any other questions about our Silver Wings Pendant? 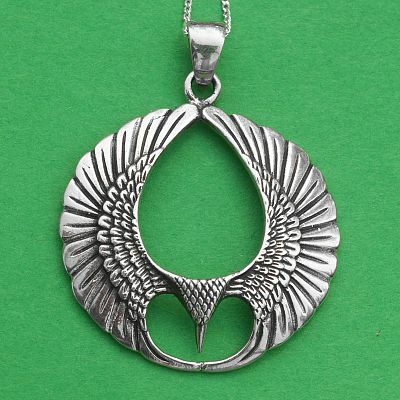 This is a georgeous pendant!It's a nice size,large but not overly large,& has a nice weight to it.I had wanted a pendant w/some kind of wing or wings,& typically you see either one or a pair of angel wings,but this one is so unique in it's design,& to me it looks like a Phoenix,which is cool.I also like that it's sterling silver,comes w/a chain,& is a reasonable price.This is my 1st purchace w/this company,&their stuff is beautiful,& I like their selection-they have many non-mainstream religious items if you are into that,or if you're like me & aren't,they have something for everybody,& I was surprised at how fast I received my order! I am well pleased with my purchase, as good as the picture is it does not compare to the actual product.